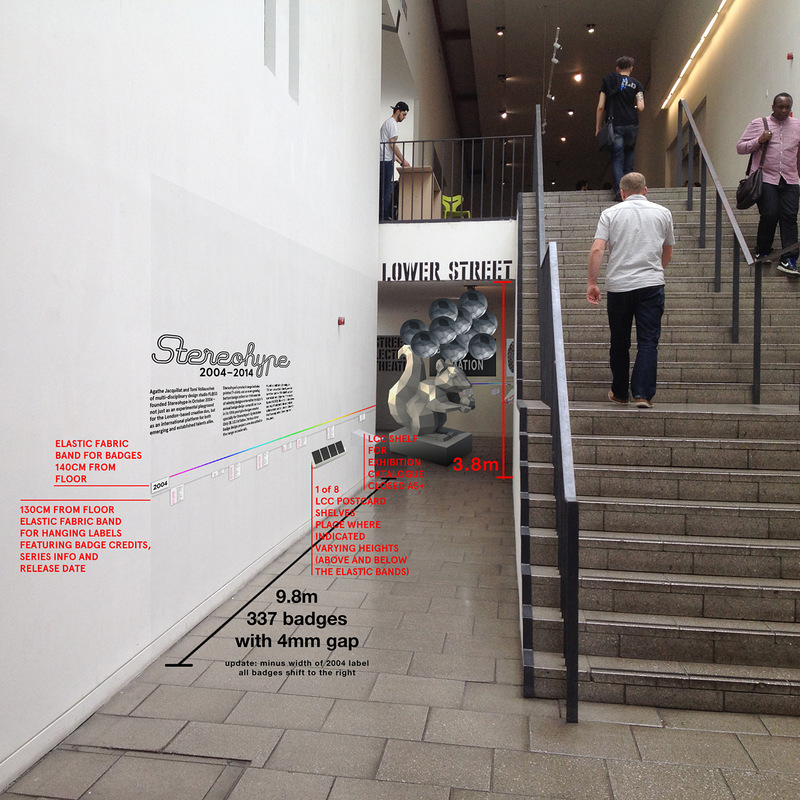 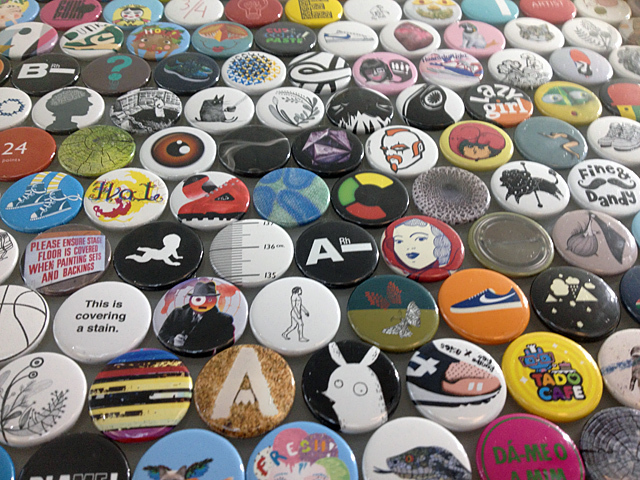 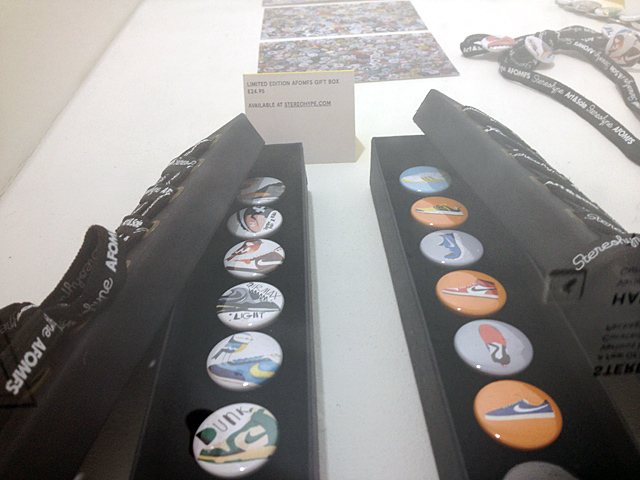 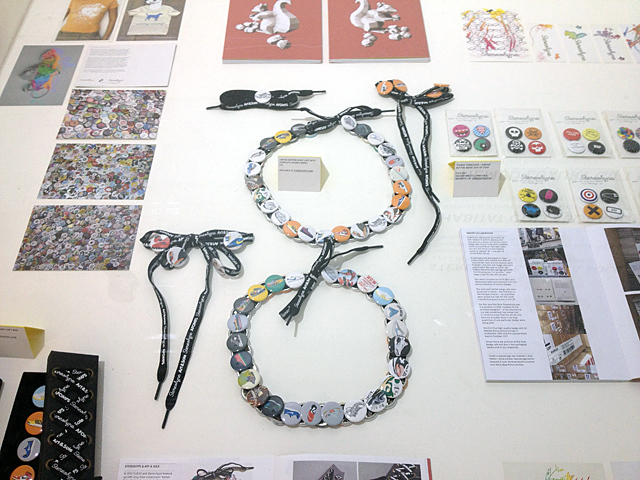 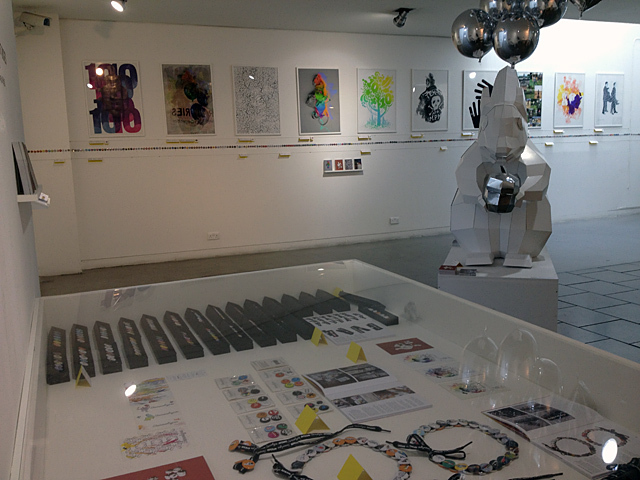 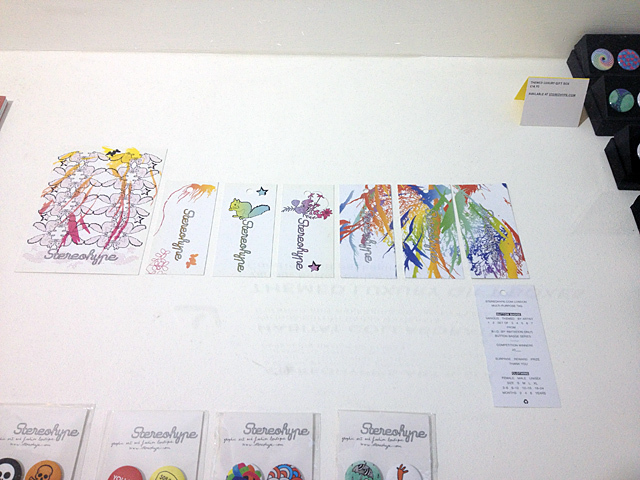 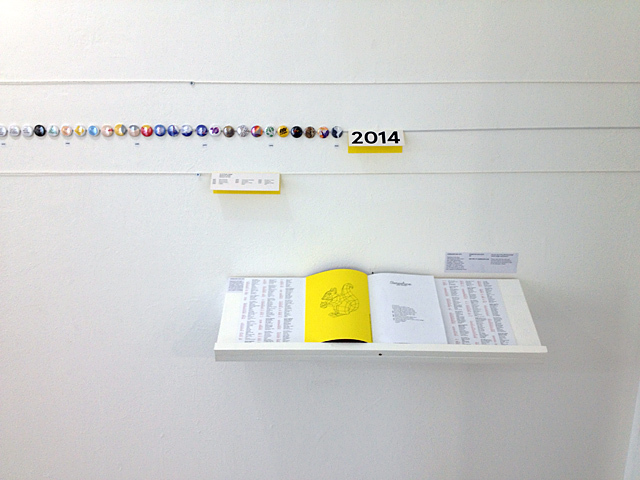 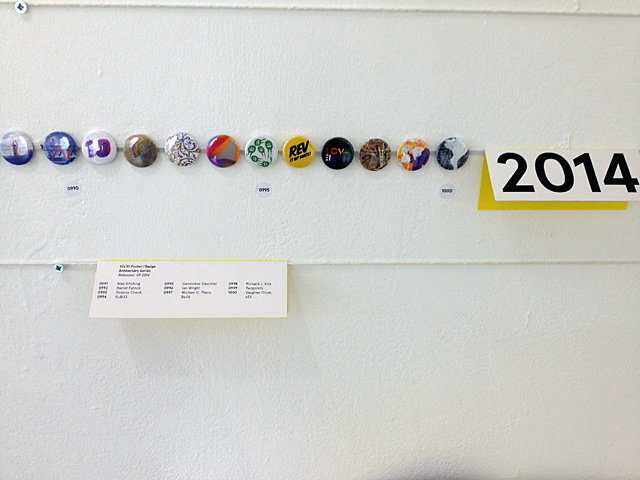 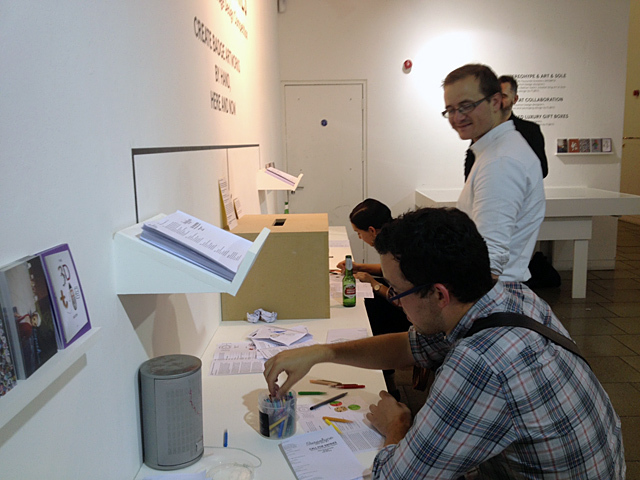 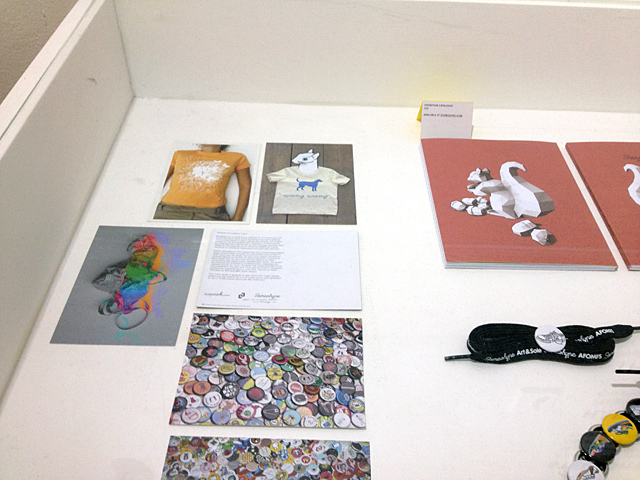 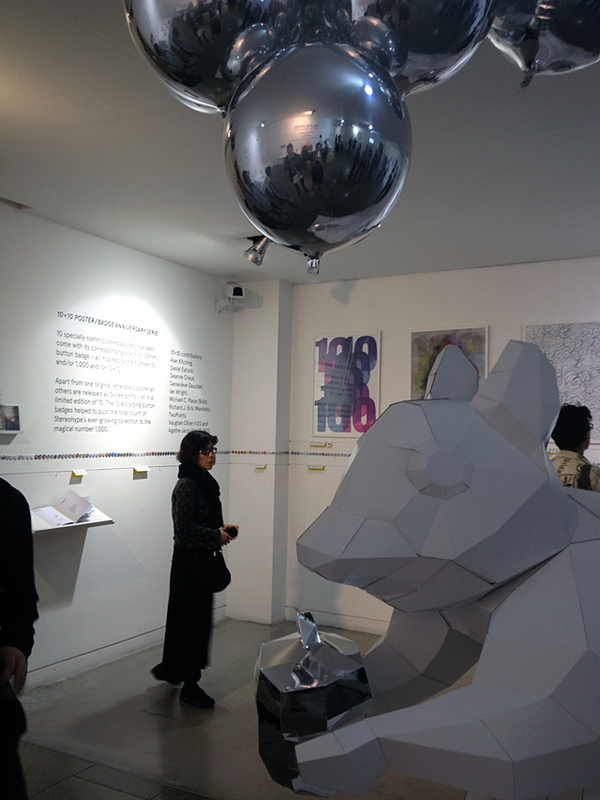 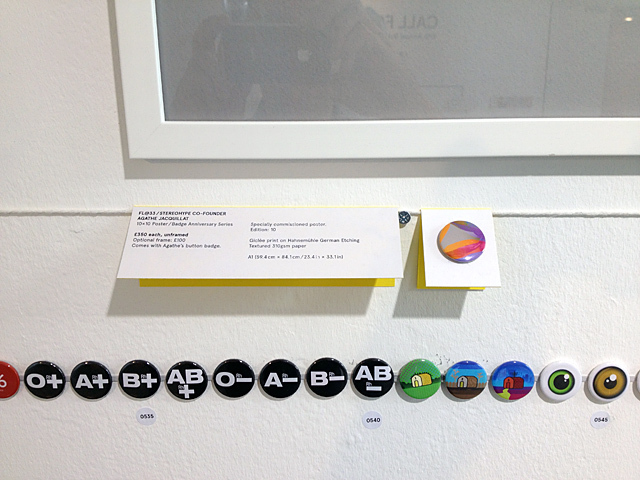 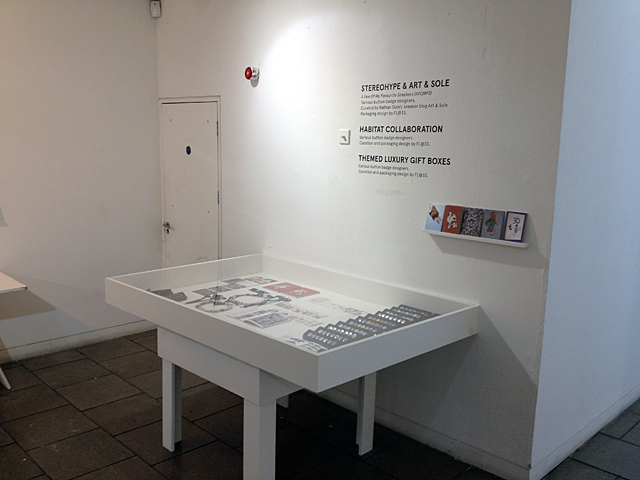 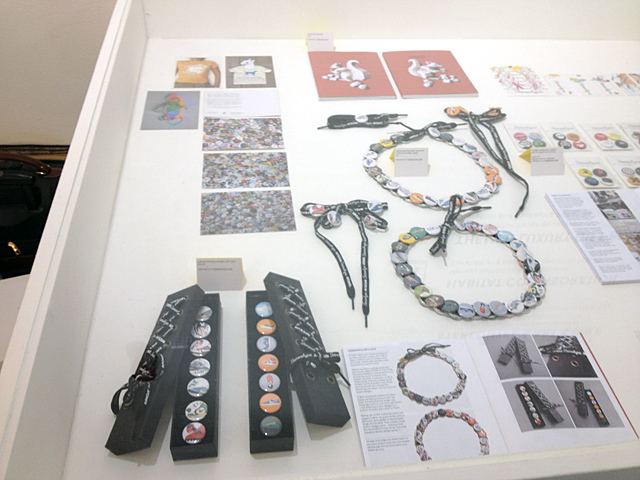 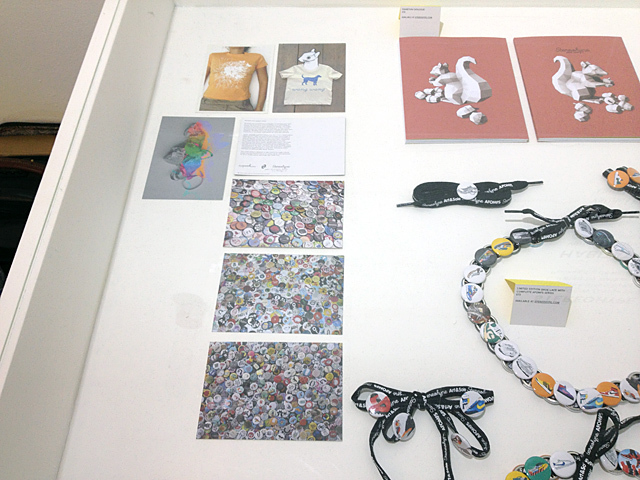 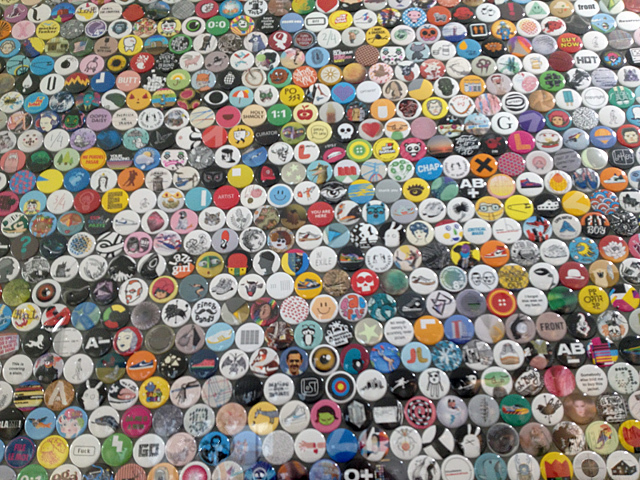 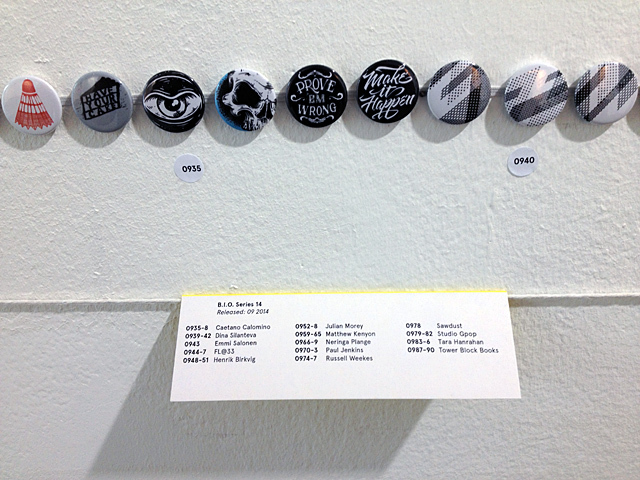 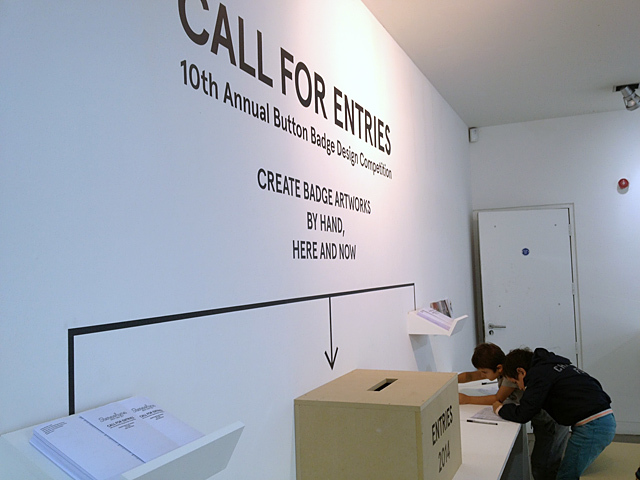 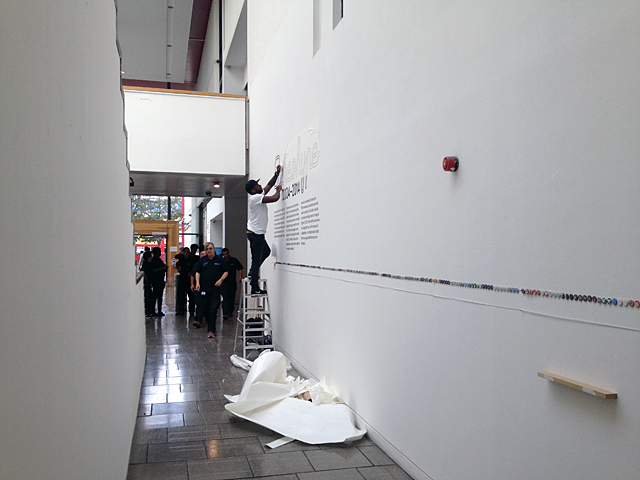 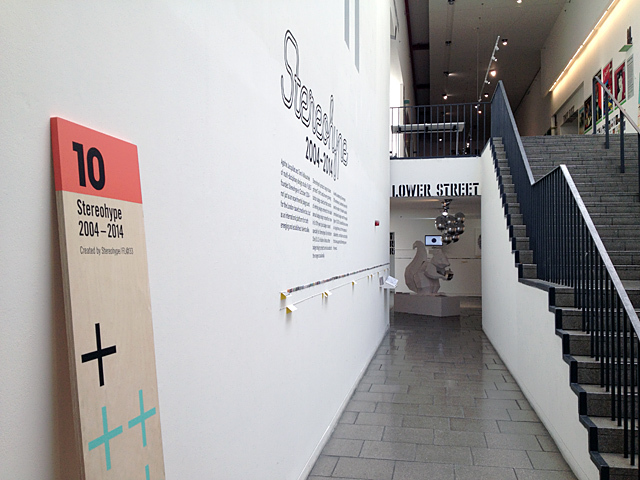 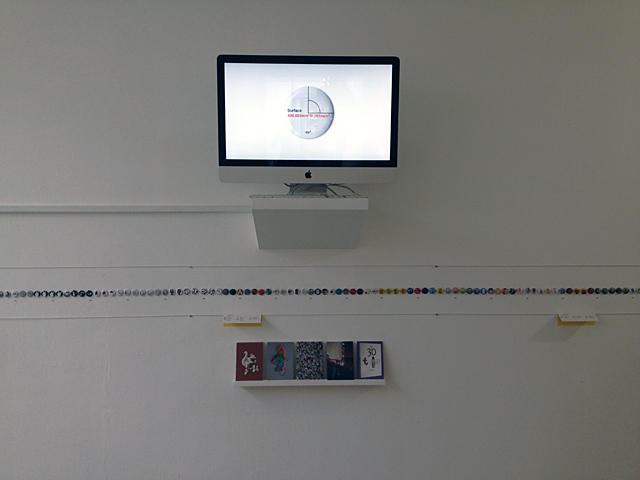 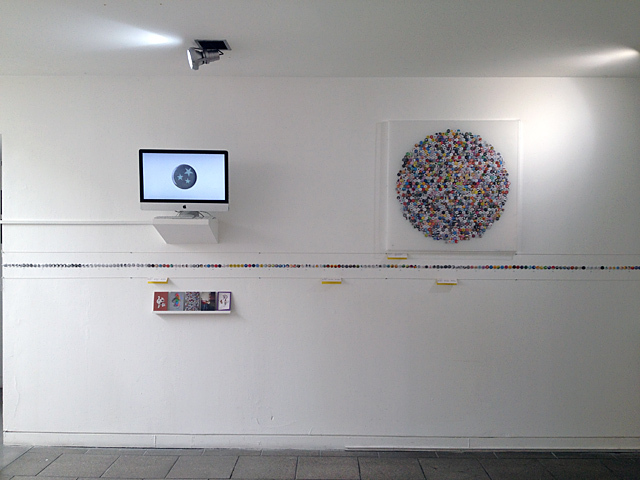 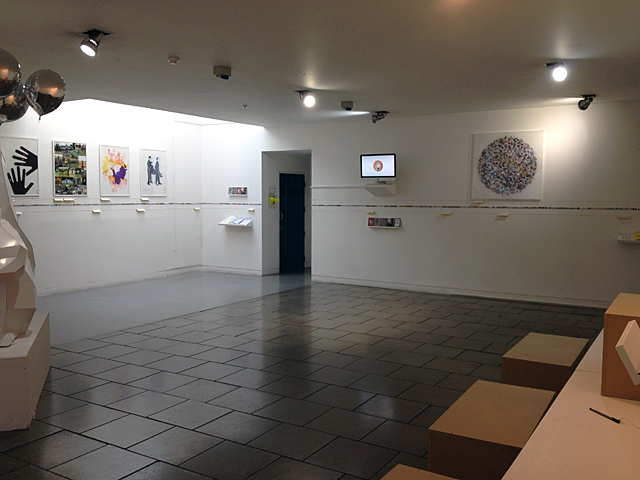 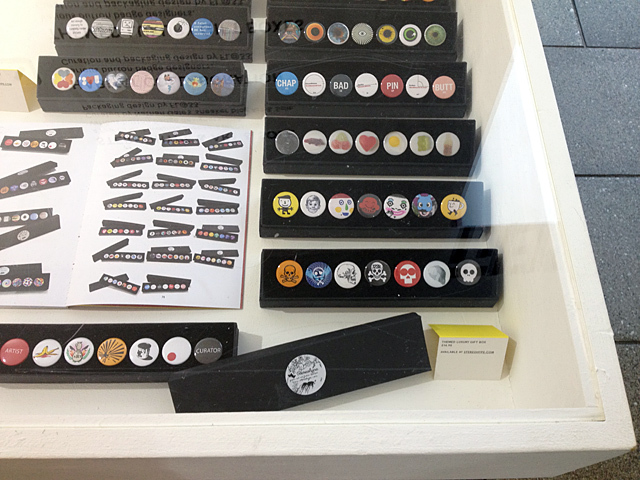 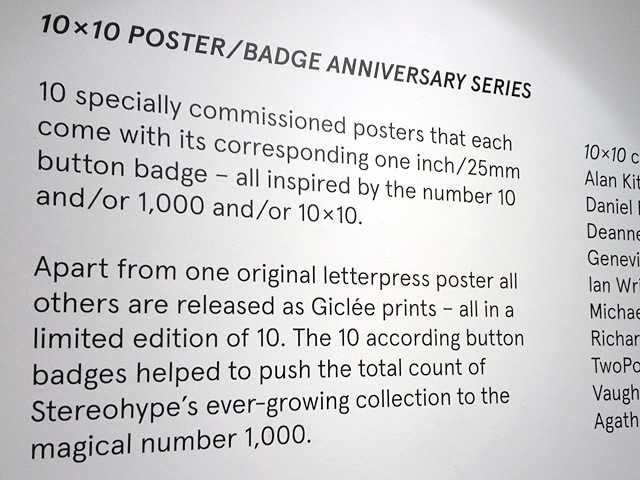 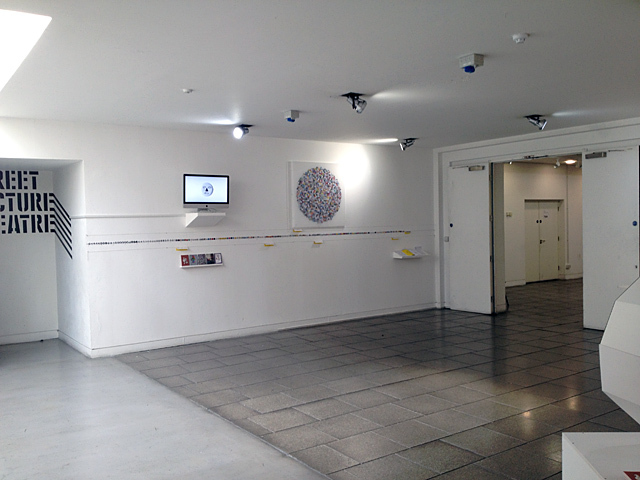 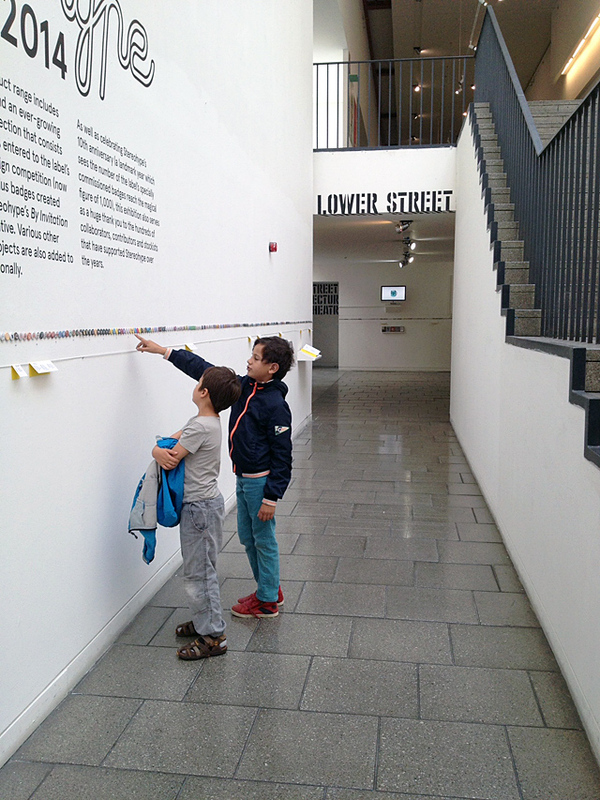 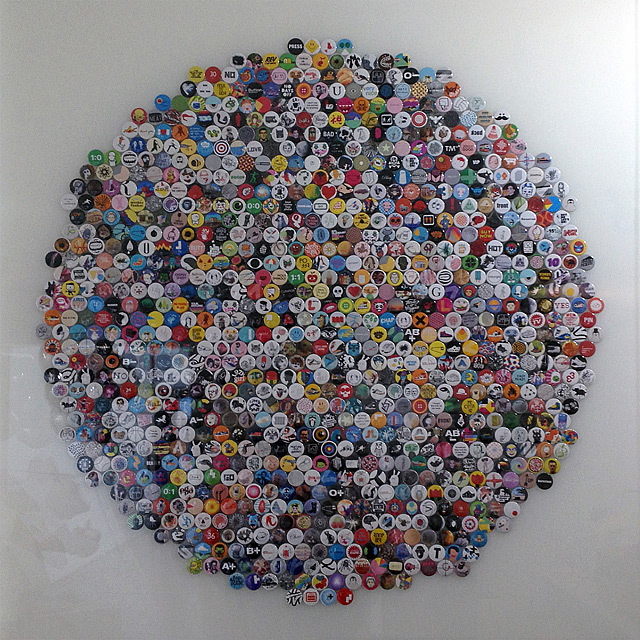 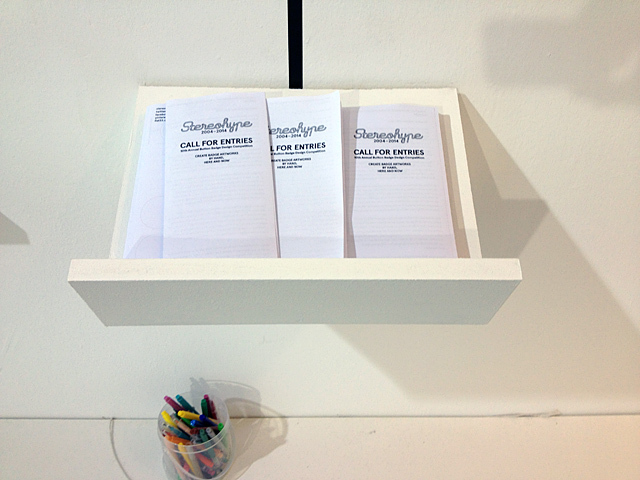 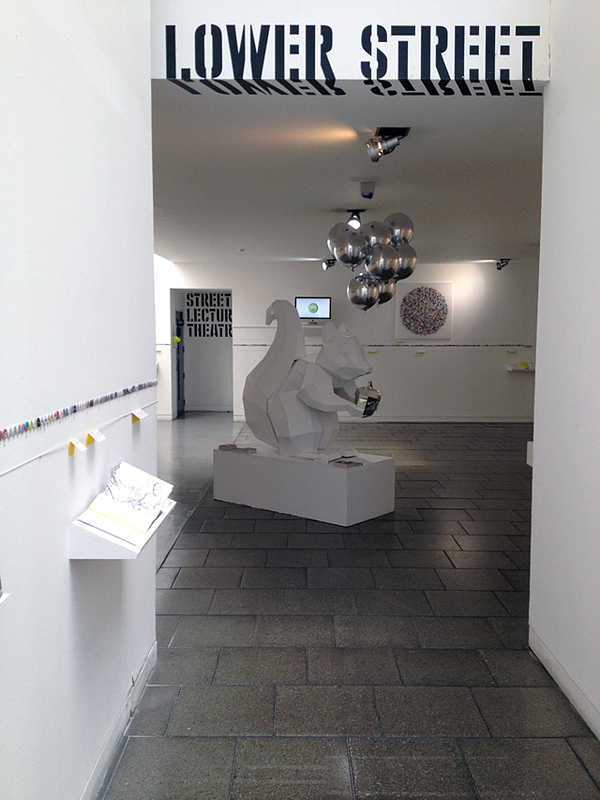 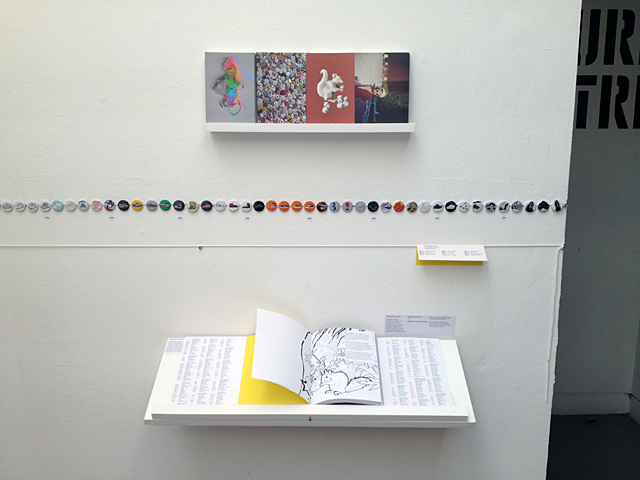 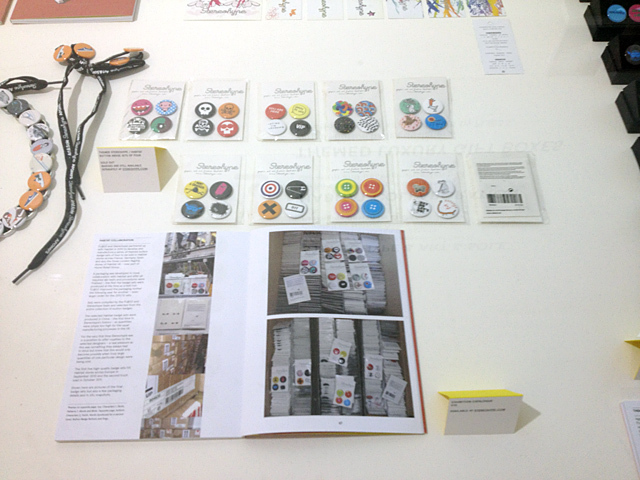 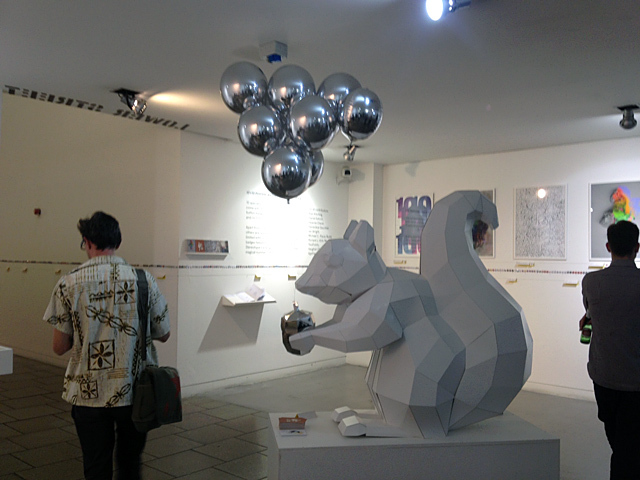 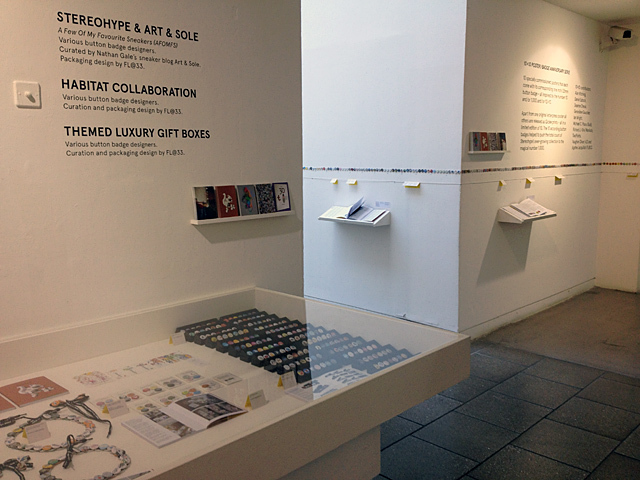 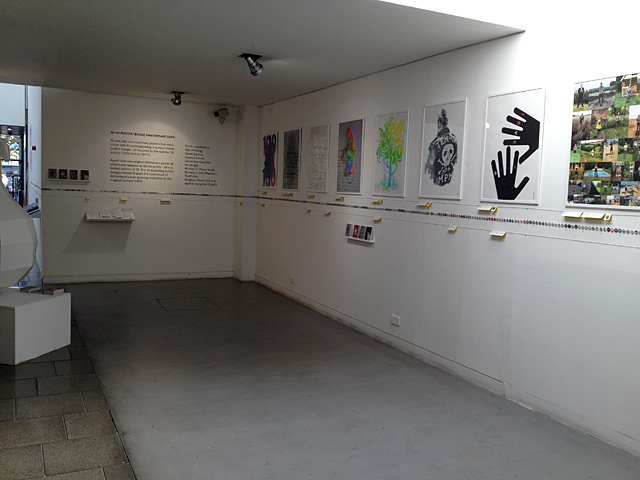 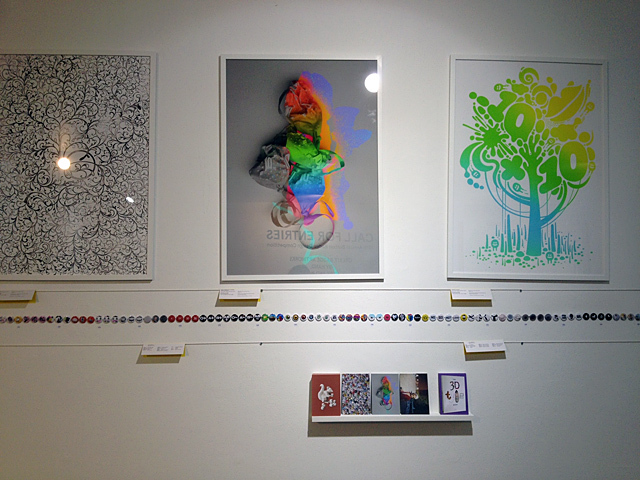 Stereohype 2004–2014, anniversary exhibition celebrating 10 years and the collection reaching 1,000 button badges. 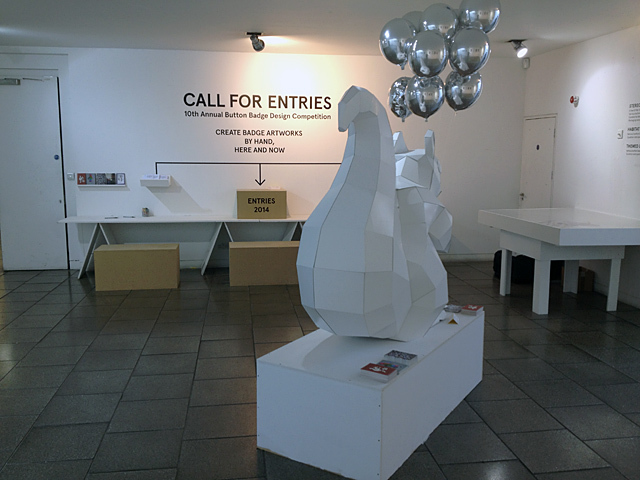 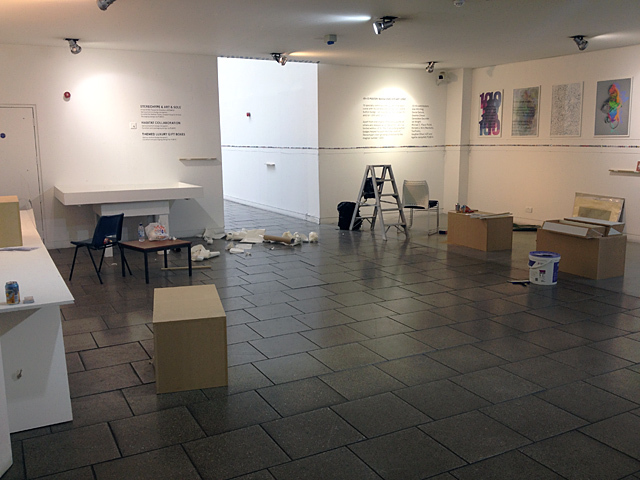 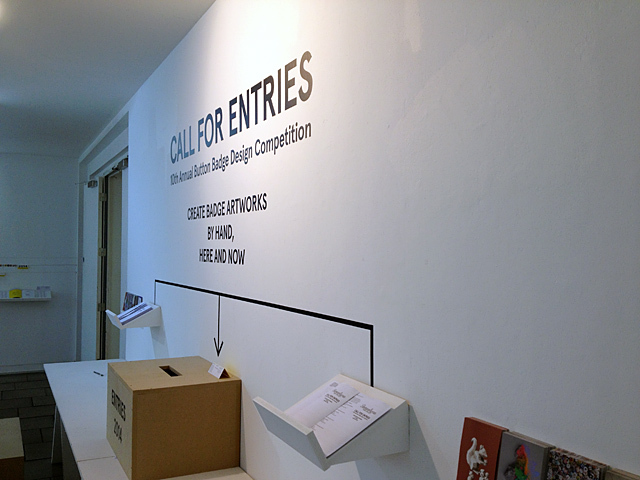 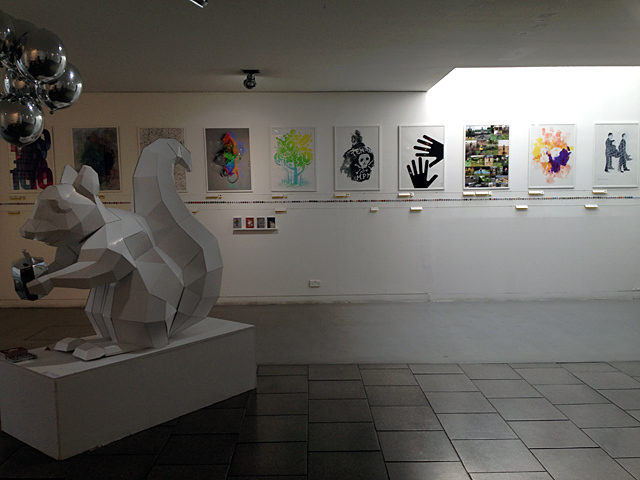 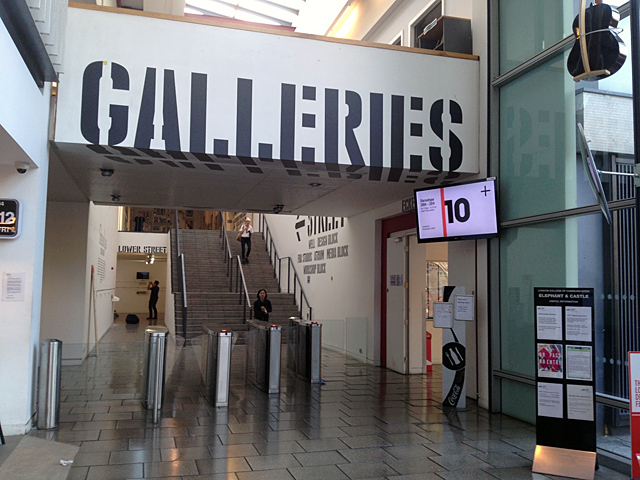 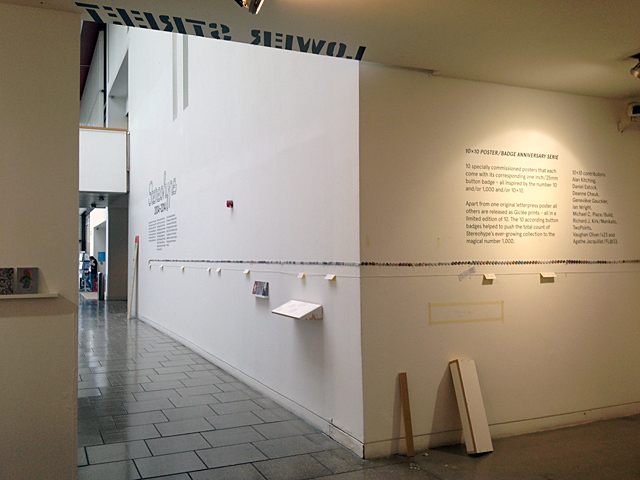 Part of LCC’s 160 exhibition and part of London Design Festival 2014. 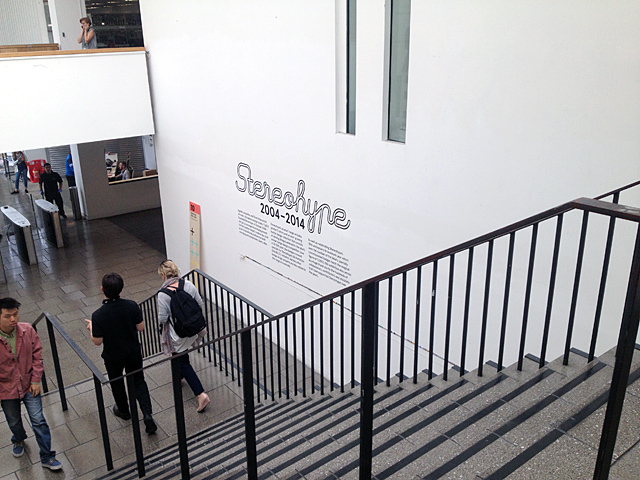 Sat 13 Sep – Sat 8 Nov (Extra week added – exhibition extended due to popular demand, was Fri 31 Oct). 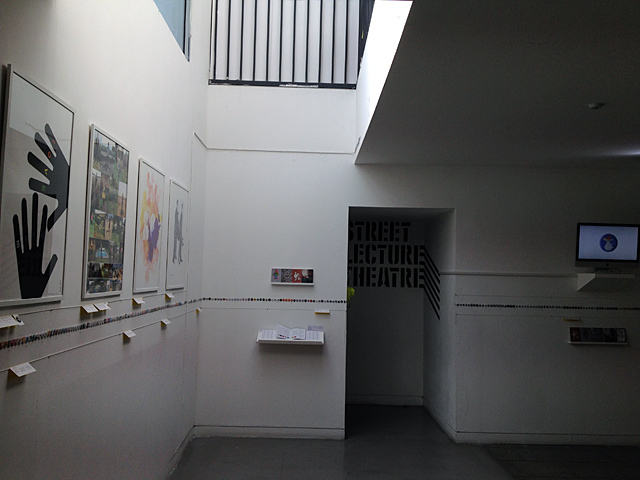 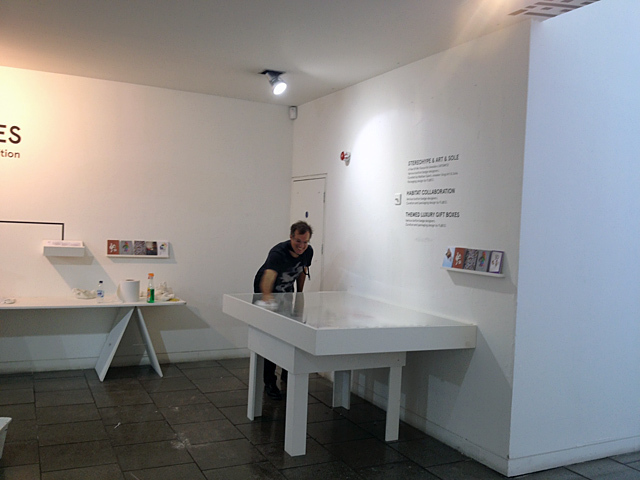 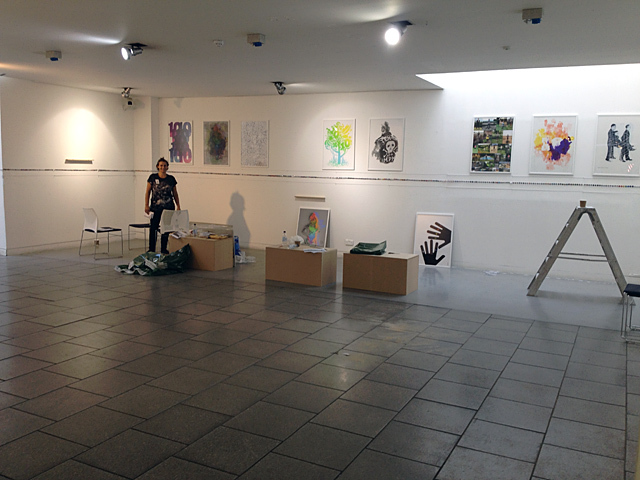 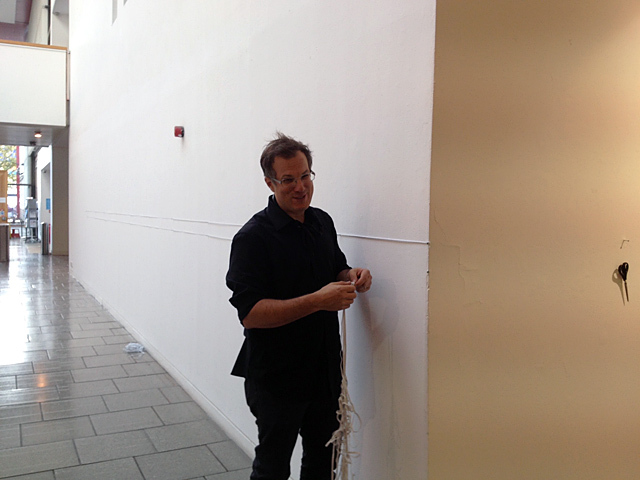 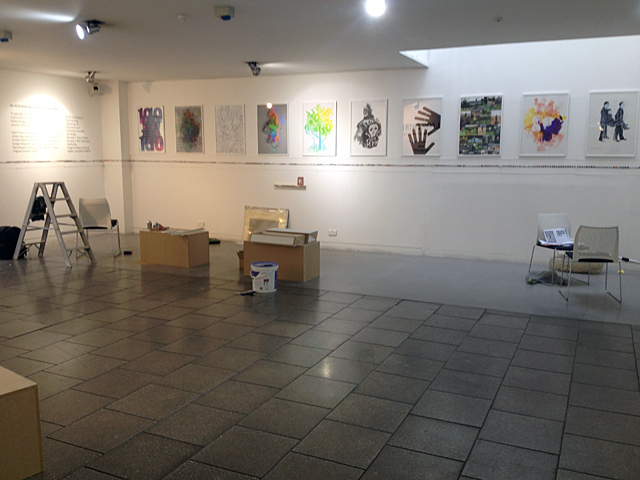 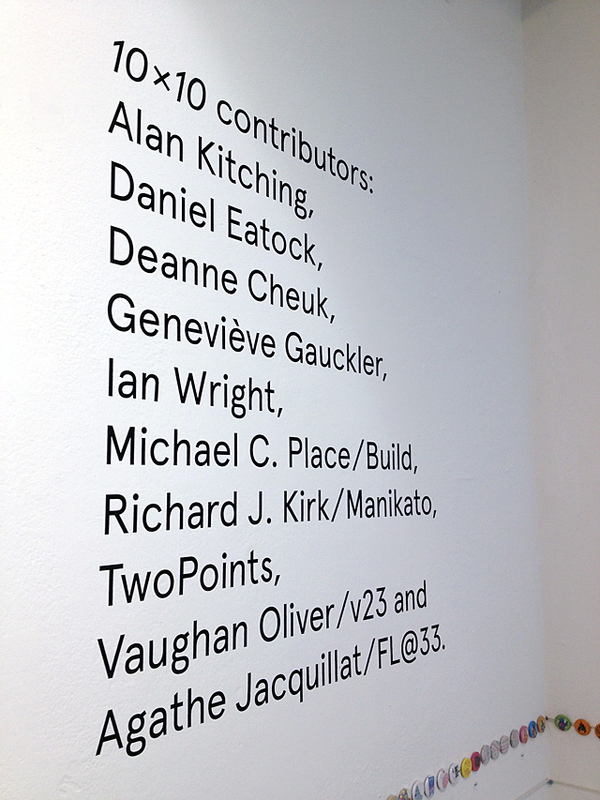 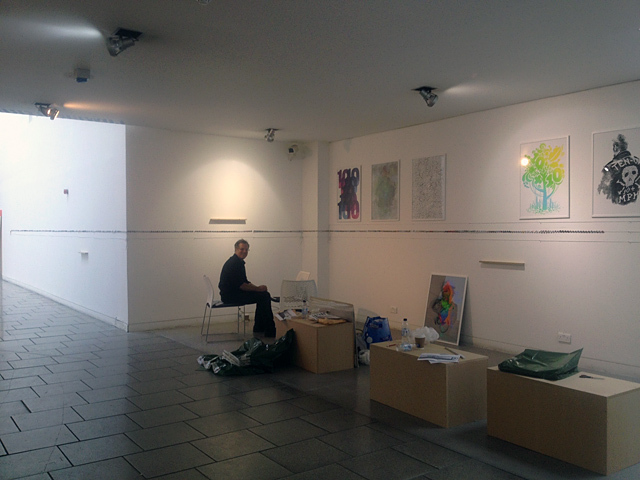 Private View: Thu 18 Sep. Lower Street Gallery, LCC, Elephant and Castle, London, UK. 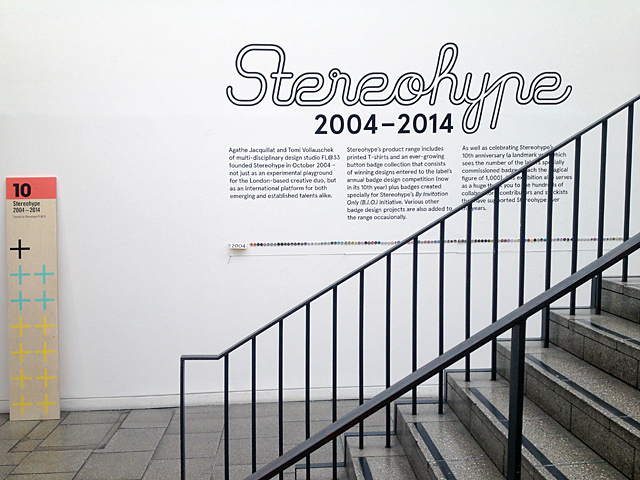 Professor Lawrence Zeegen, Dean of London College of Communication's School of Design kindly invited us to celebrate the 10th anniversary of FL@33's sister-company Stereohype with a massive exhibition in LCC's Lower Street Gallery. 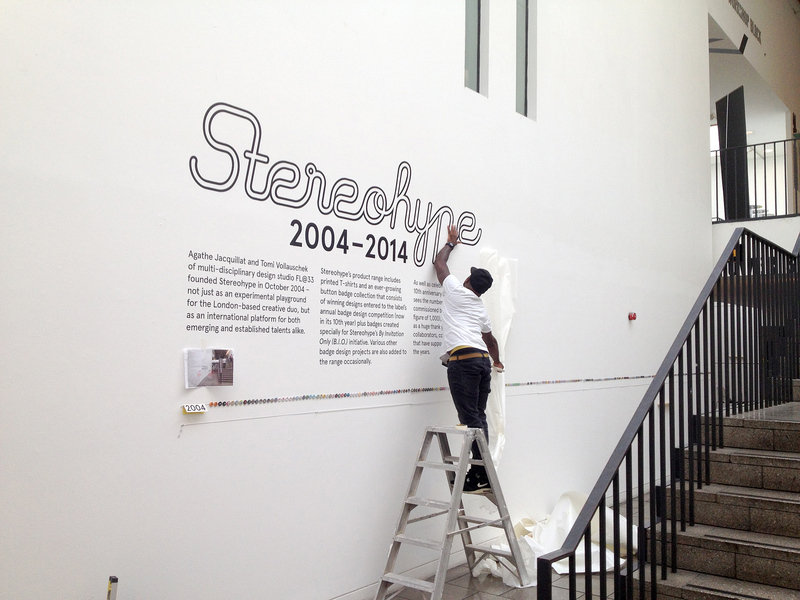 ___ After a summer of hectic and thorough preparations the FL@33-designed and curated exhibition Stereohype 2004–2014 opened its gates in September 2014 during London Design Festival and as part of '160' – a series of exhibitions all hosted by the LCC. 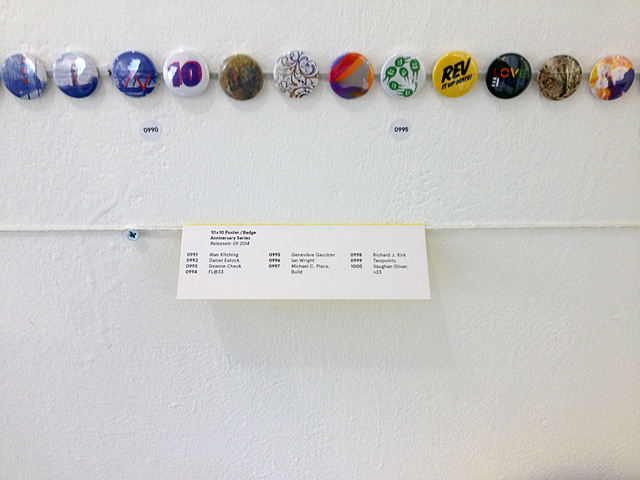 ____ FL@33 developed numerous appropriate ways to display the whole 1,000-strong collection of Stereohype's fascinating tiny one inch (25mm) button badges in a large gallery space. 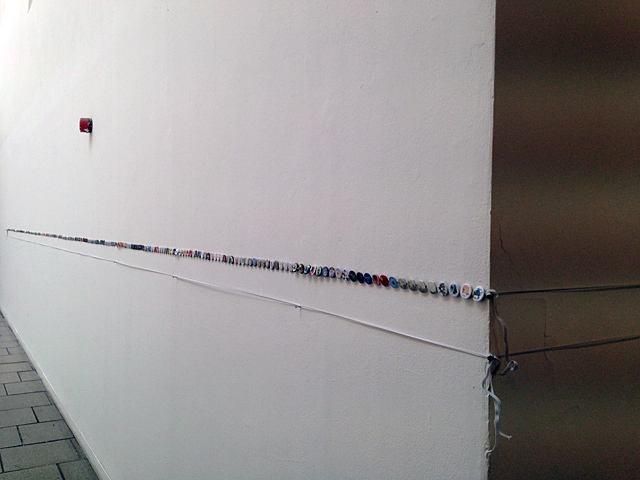 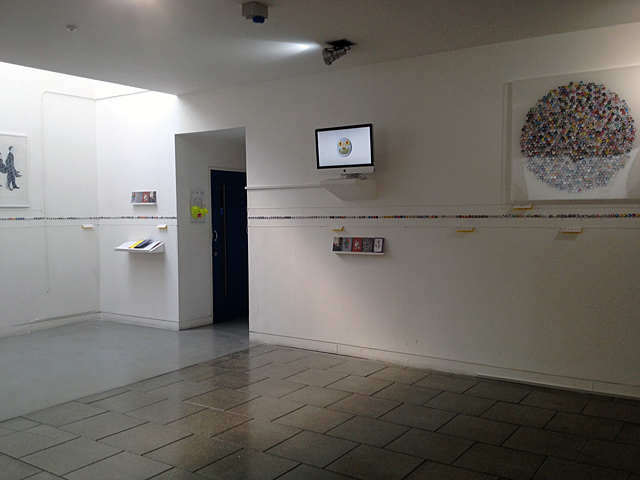 A giant 30m-long line showing all the button badges next to each other along the entire gallery walls. 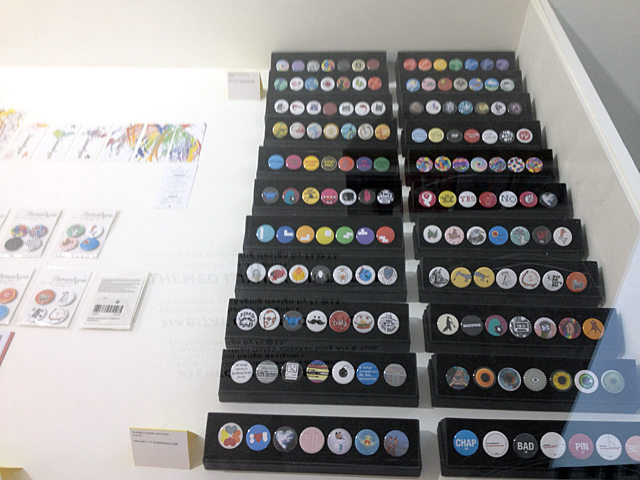 To complement this – every single one of the 1,000 button badges were also displayed in a super-compressed, bespoke FL@33-designed perspex frame (one square metre) showcasing the collection at one glance. 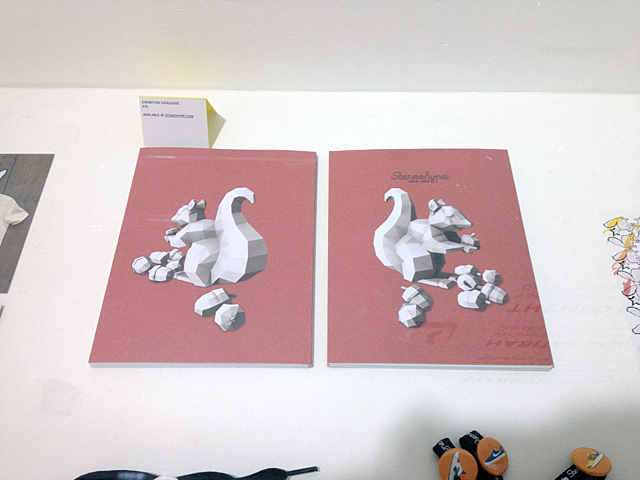 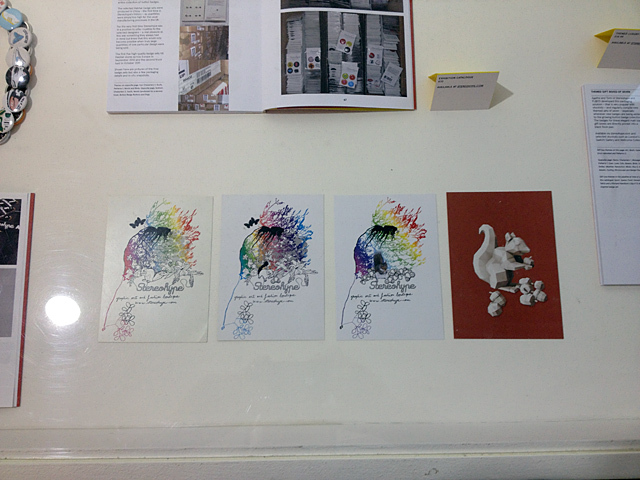 ___ A beautiful anniversary book simply entitled Stereohype 2004–2014 was also published at this occasion. 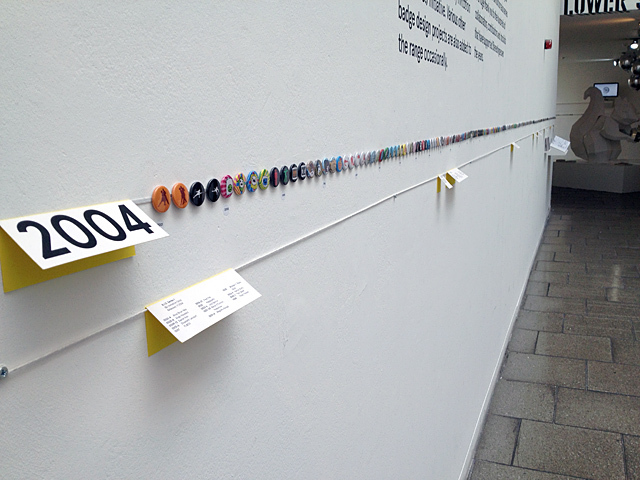 Additionally animations were created showing the 1,000 badges flickering over the gallery's screen. 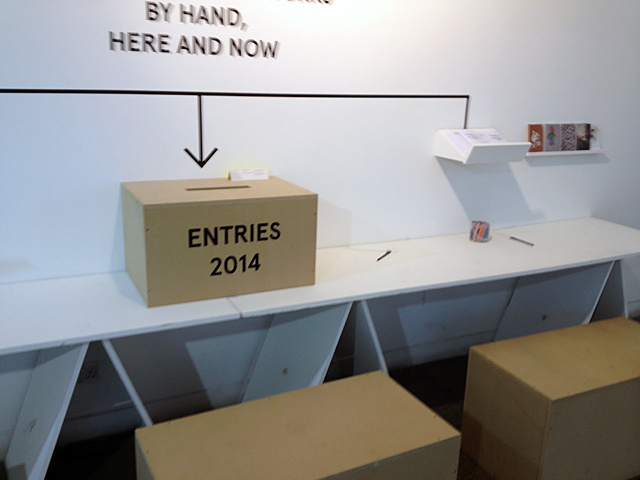 ___ Apart from curating this year's B.I.O. 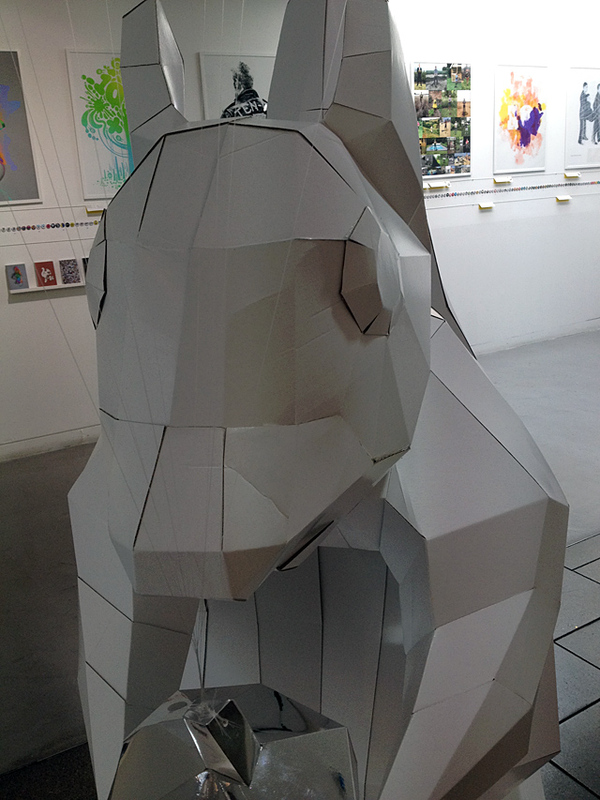 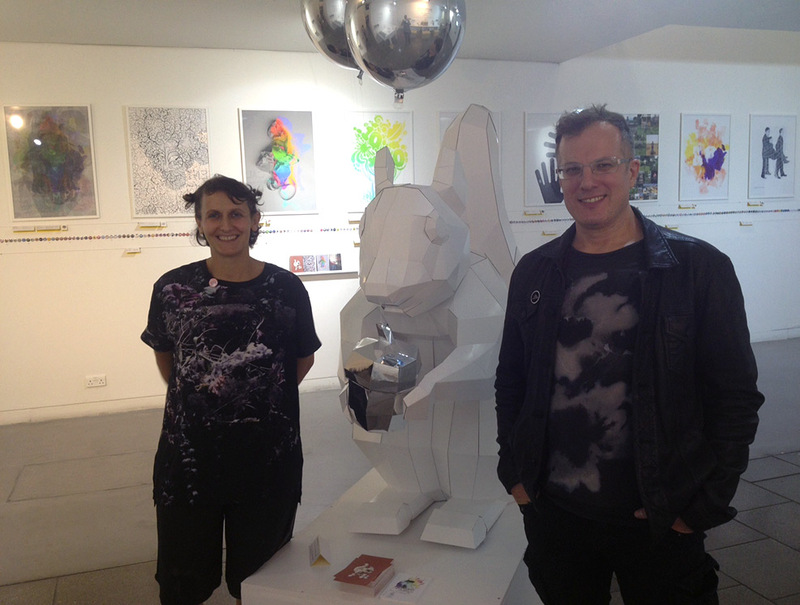 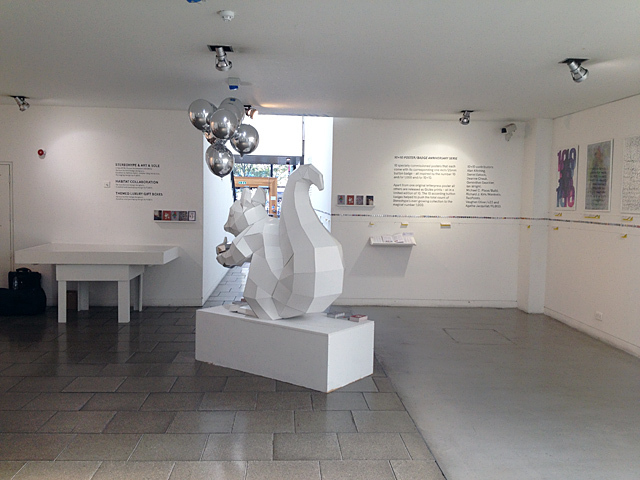 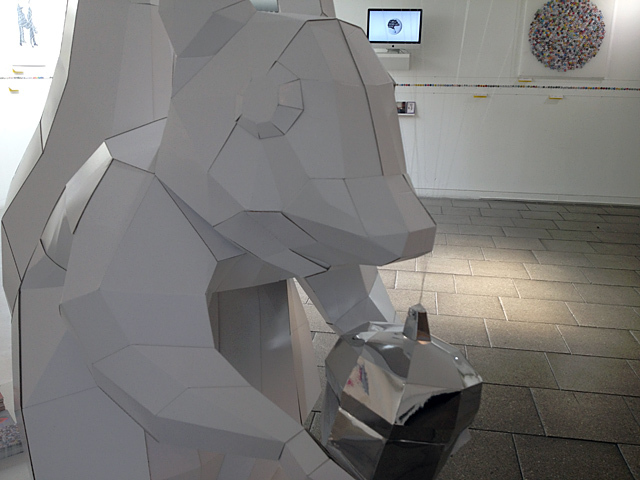 (By Invitation Only) Series 14 in time for the show we also specially commissioned 10 contributions for 10×10 Poster / Badge Anniversary Series and took on the challenge to create another exhibit: a huge low-polygon squirrel sculpture (a new incarnation of Stereohype's mascot) presented in the centre of the gallery space – 1.5m high plus plinth – designed as part of Stereohype's ever-evolving visual identity. 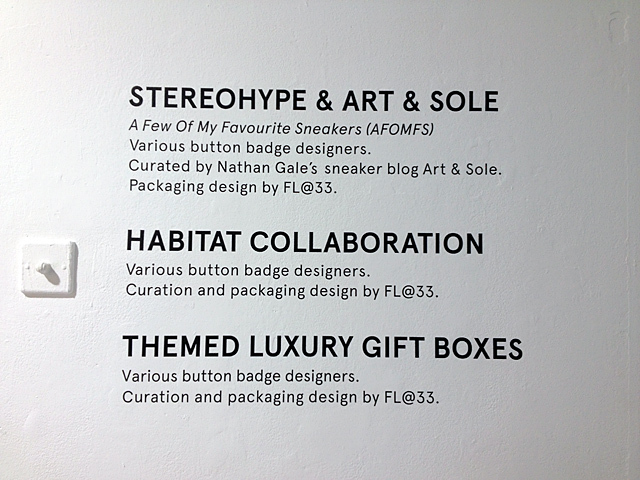 ___ Exhibition goodies and other Stereohype products are available via stereohype.com and selected stockists.